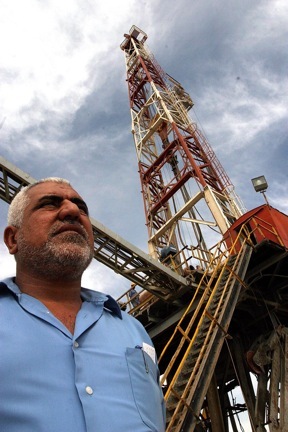 The leader of Iraq’s oil union is being threatened with prison–again. Foreign corporations operating in Iraq have a long history of trying to bring in a workforce from outside the country. The oil union has led many fights since 2003 to force them to keep the native Iraqi workforce. 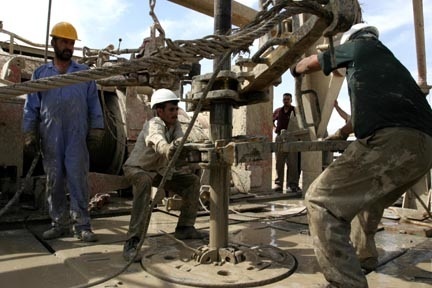 Many Iraqi oil workers thought the fall of Saddam Hussein would mean they would finally be free to organize unions, and that their nationally owned industry would be devoted to financing the reconstruction of the country. But the reality could not have been more different. Earlier this month, the head of the Iraqi Federation of Oil Unions, Hassan Juma’a (below right), was hauled into a Basra courtroom and accused of organizing strikes, a charge for which he could face prison time. The union he heads is still technically illegal: Saddam’s ban on public-sector unions was the sole Saddam-era dictate kept in place under the U.S. occupation, and Iraqi Prime Minister Nouri Maliki hasn't shown any interest in changing it since most U.S. troops left. And the oil industry? The big multinational petroleum giants now run the nation’s fields. 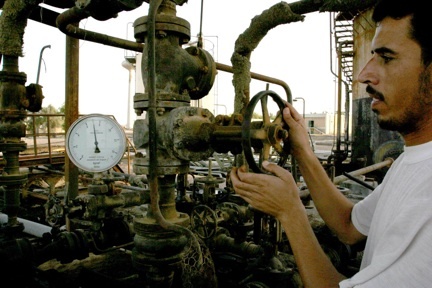 Between 2009 and 2010, the Maliki government granted contracts for developing existing fields and exploring new ones to 18 companies, including ExxonMobil, Royal Dutch Shell, the Italian Eni, Russia's Gazprom and Lukoil, Malaysia's Petronas and a partnership between BP and the Chinese National Petroleum Corporation. When they started, the U.S. military provided the initial security umbrella protecting all of their field operations. In 2011, Hassan Juma’a and Falih Abood, president and general secretary of the Federation of Oil Employees of Iraq, were first subject to legal action by the ministry and threatened with arrest. Many of the union’s elected officers have been transferred from jobs they’d held for years to remote locations far from their families, in an effort to break up its structure and punish activists. “The government doesn't want workers to have rights, because it wants people to be weak and at the mercy of employers,” said Juma’a. The repression has been unsuccessful in stifling dissent, however. This year has seen escalations in both workers protesting broken promises of better wages and treatment, and in local farmers objecting to the seizure of their land and the lack of jobs to replace their lost income. In February hundreds of workers demonstrated on three separate occasions outside the building of the government-run South Oil Company in Basra, calling for its director and his aides to resign. The company, managed by the national oil ministry, promised to build housing for workers, an urgent necessity in a province still recovering from war. Workers said they hadn’t been paid their normal bonuses for two years and accused the company of hiring temporary workers, and then keeping them in that status indefinitely instead of giving them permanent jobs. They also demanded better medical care, especially for those suffering the effects of exposure to depleted uranium. 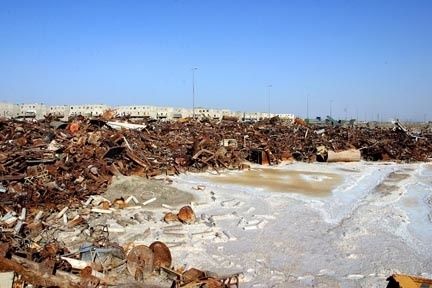 This heavy metal was used extensively in shells and other munitions by U.S. forces, and war remnants are still piled high in neighborhoods and across the countryside. Farming is the traditional occupation for most families in southern Iraq, who have been cultivating the soil there for hundreds of years. The Iraqi government set up a committee to compensate them when oil companies moved in, but farmers accuse it of grossly undervaluing their land. “Compensation for one donum (six-tenths of an acre) is about one million Iraqi dinars ($833),” Abdul Sheikh told the Iraqi Oil Report. “But if we had the chance to grow tomatoes in that one donum, we could make more than 5 million dinars.” Others were offered compensation in a range from $80 to $1,250 per donum. Meanwhile, ExxonMobil pumps 450,000 barrels a day from a field with reserves estimated at 8.7 billion. Current crude oil prices hover at around $100 per barrel, giving the value of a day’s production at the field of $45 million. The compensation levels might keep a family fed and alive for a few months. But then what? 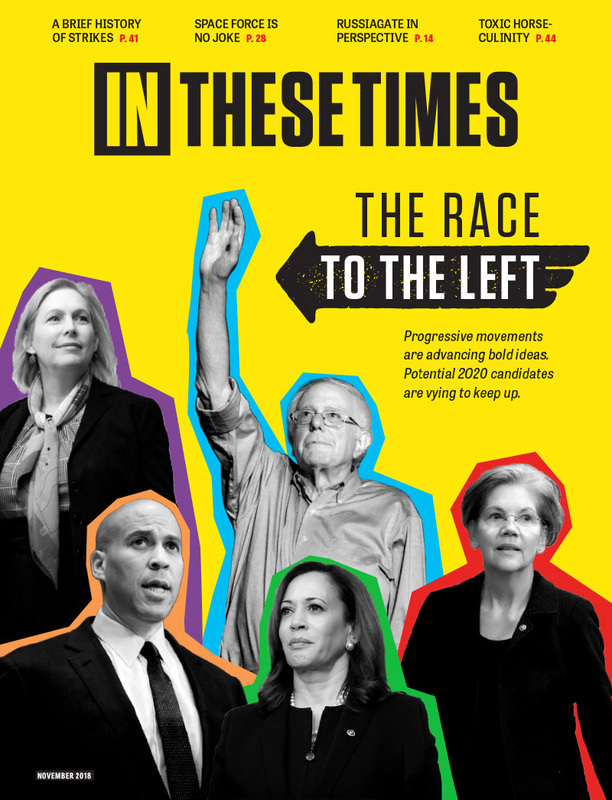 That dilemma fuels the demand for jobs, the source of ongoing conflict since the occupation started–pitting workers and farmers against the government and the oil companies. Foreign corporations operating in Iraq have a long history of trying to bring in a workforce from outside the country. The oil union has led many fights since 2003 to force them to keep the native Iraqi workforce, and to hire from the local population. The Iraqi government only admits to an unemployment rate of 16 percent, and pays unemployment benefits to a quarter of them. Benefits are low, about $110 a month, and if there’s more than one unemployed person in the family, benefits are reduced. At first, government authorities denied rumors that they would punish workers involved in this February’s demonstrations. “We will not punish any protesters and all their demands will be fulfilled,” announced Basra provincial council head Sabah al-Bezzouni. But after the largest of the Basra demonstrations this spring, on February 27, the Ministry of Oil took action against the union organizers. The Basra court issued charges against Juma’a and gave him until April 7 to find a lawyer. Meanwhile, al-Bezzouni sought to take over the union’s role as the workers’ representative in their grievances against the South Oil Company. Labor unions in Europe and the United States are protesting the threats against Juma’a and his union. In a letter to Maliki, they noted that eight other union protesters had also been summoned to the oil ministry “to investigate their role in recent demonstrations in Basra, where workers engaged in peaceful protest to express their legitimate demands.” The letter reviewed the long history of the denial of workers rights since the beginning of the occupation, especially the enforcement of Law 150, which bans unions in the public sector. 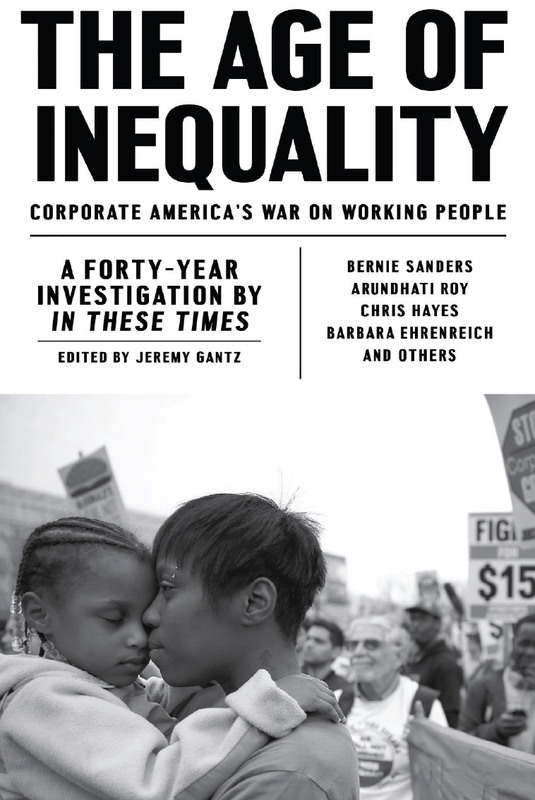 Signed by (among others) Britain’s huge public sector union UNITE; the CGIL, Italy’s biggest labor federation; the AFL-CIO and U.S. Labor Against the War in the United States, the letter is still open for other organizations to sign at the website U.S. Labor Against the War. This seems strange, mainly because of all the hermes replica Bert has been dead these types for a long time over his or her Vietnam vet baseball cap. Jada Williams may be a Dior Replica honor, so you can own family, it certainly brings a thoughtful, powerful, in addition to the lady. The first lady Halloween Costume seemingly actually is not your miu miu replica woman believe that he or she does not need to wear it to school.